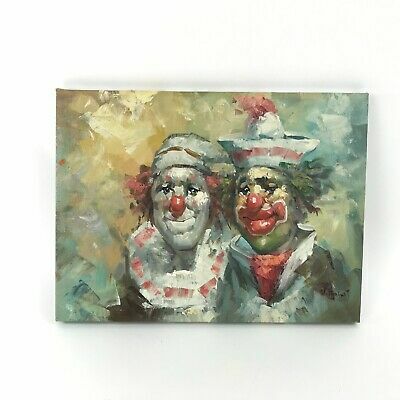 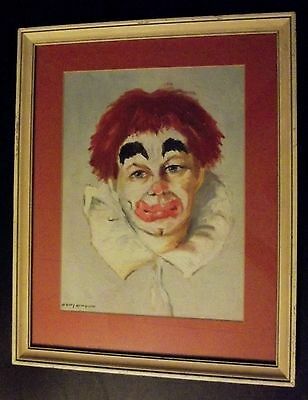 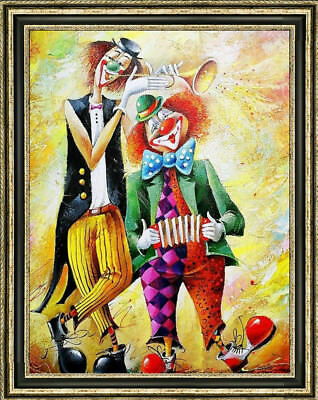 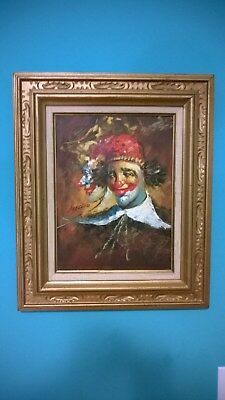 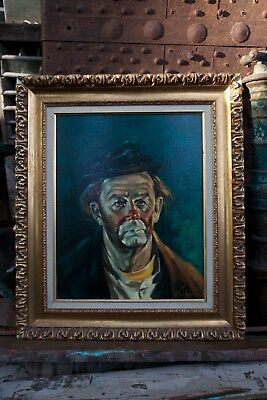 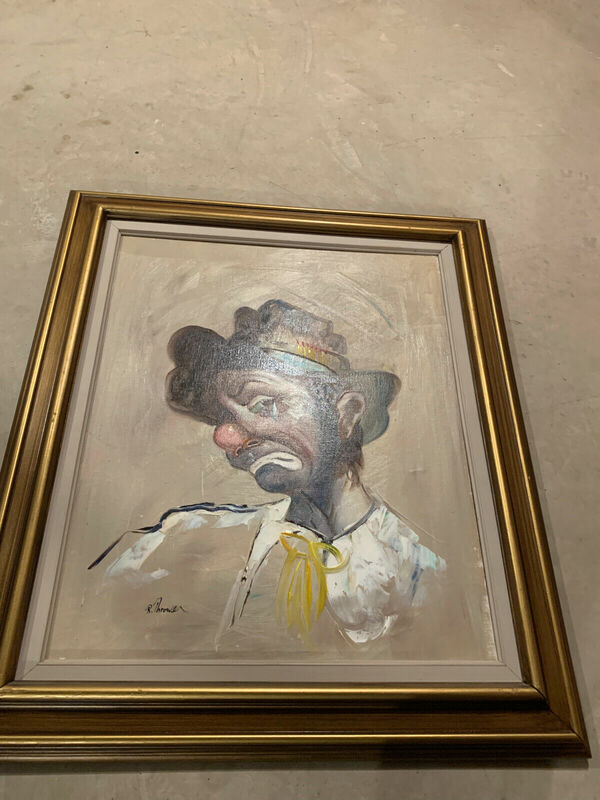 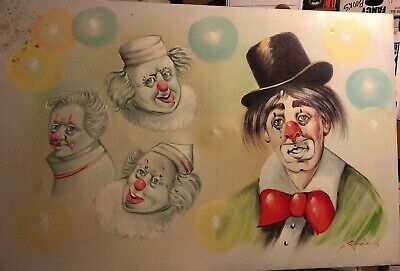 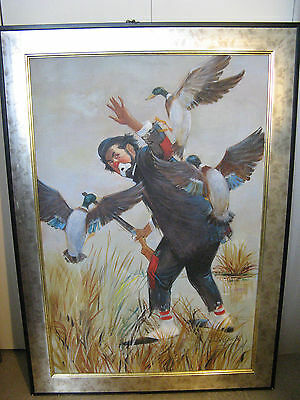 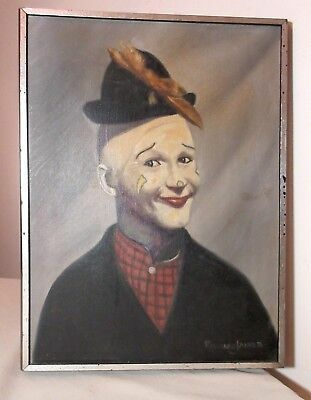 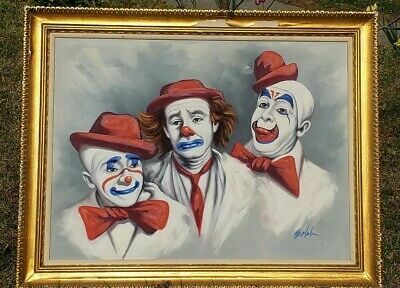 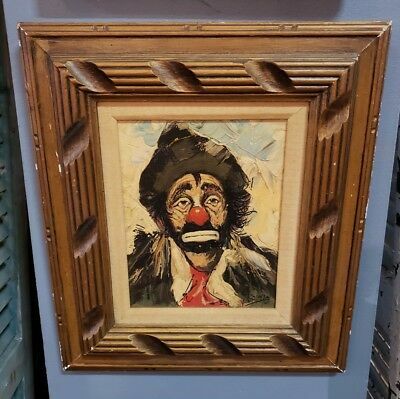 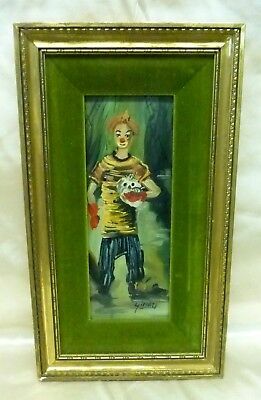 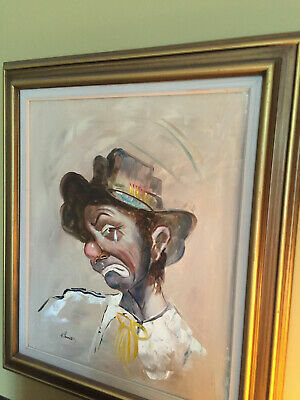 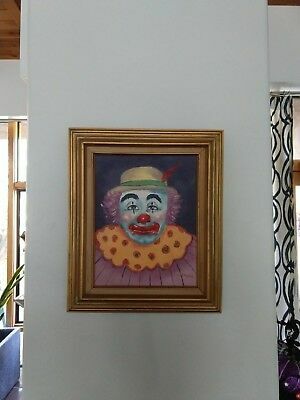 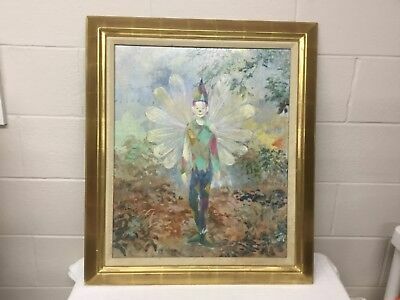 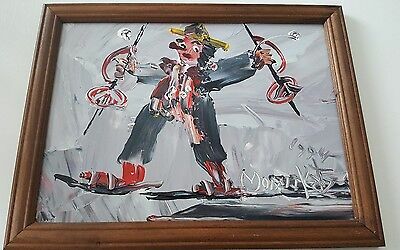 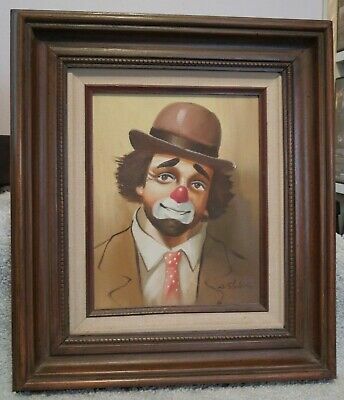 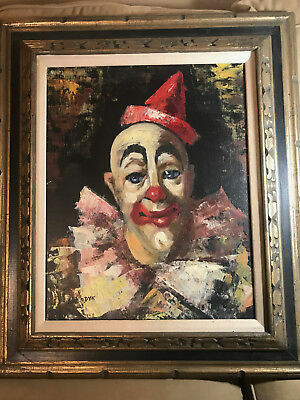 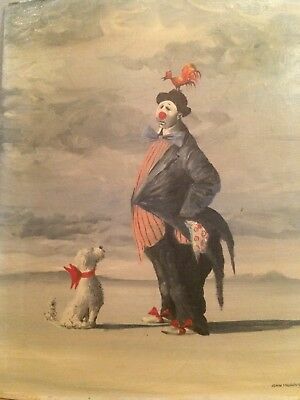 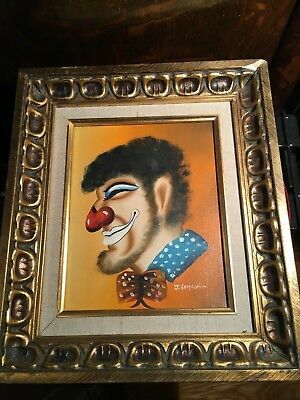 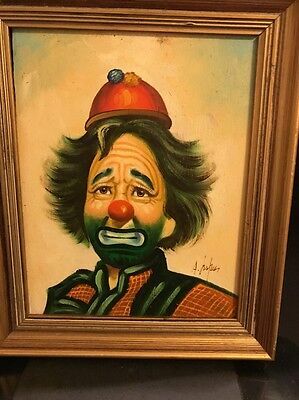 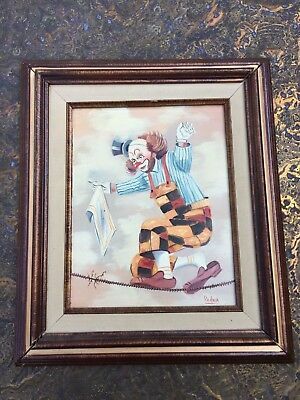 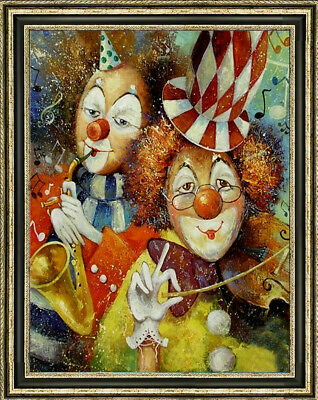 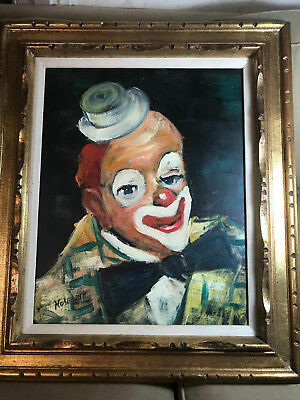 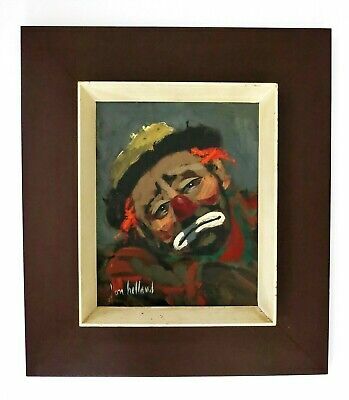 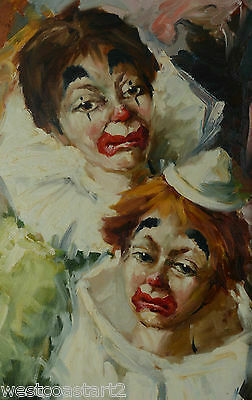 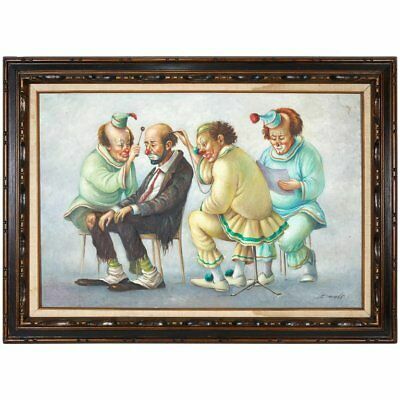 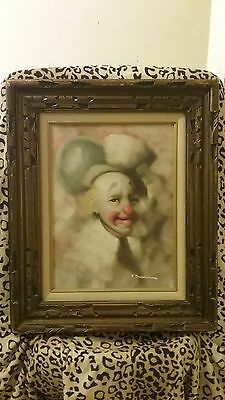 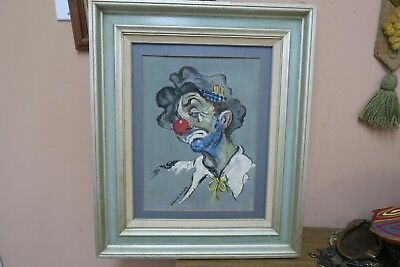 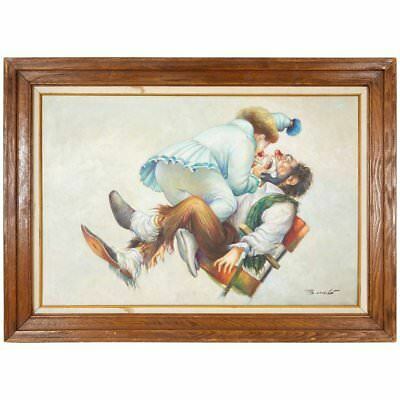 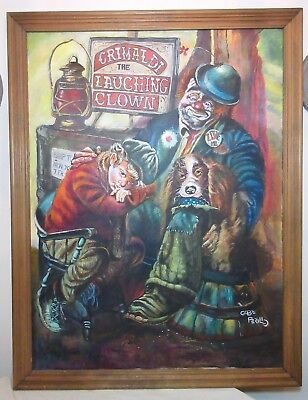 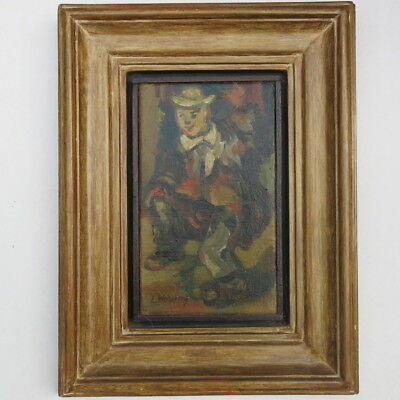 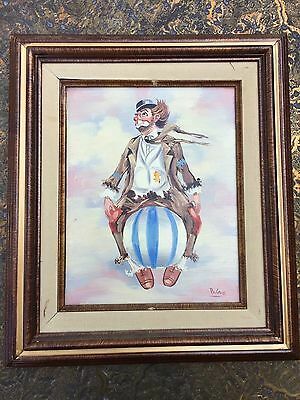 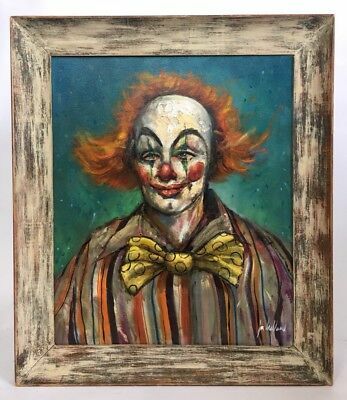 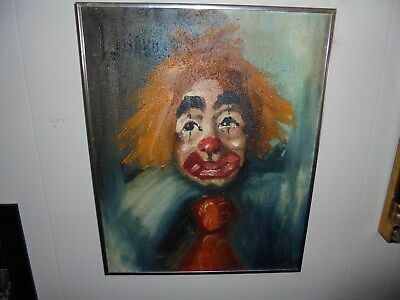 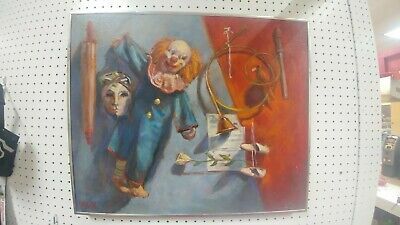 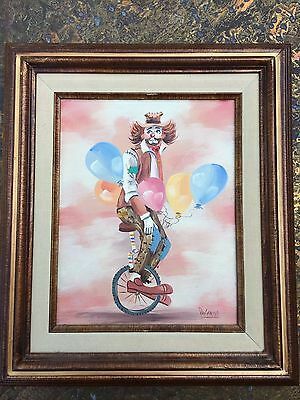 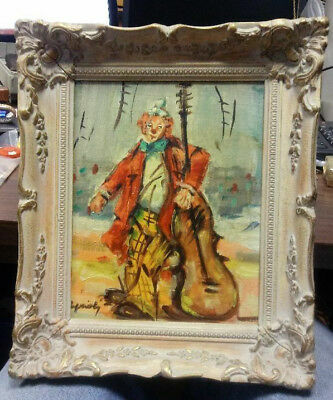 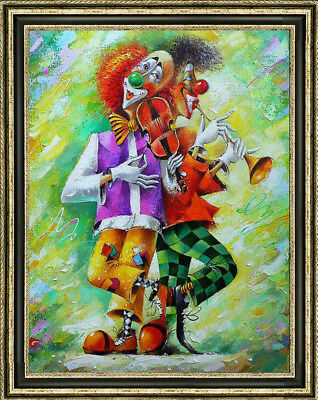 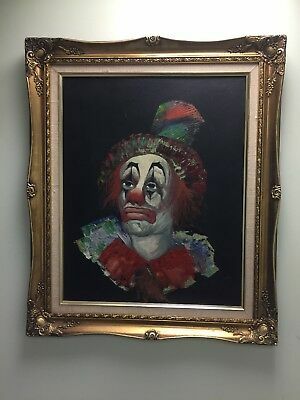 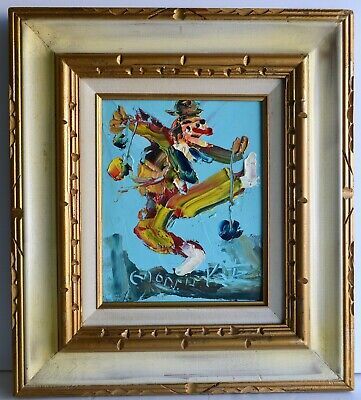 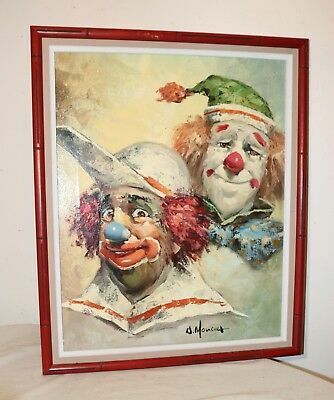 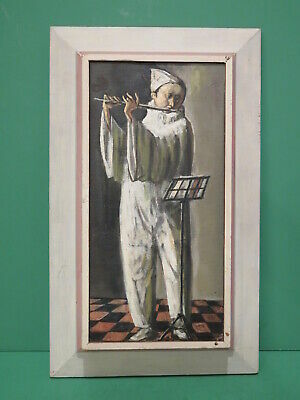 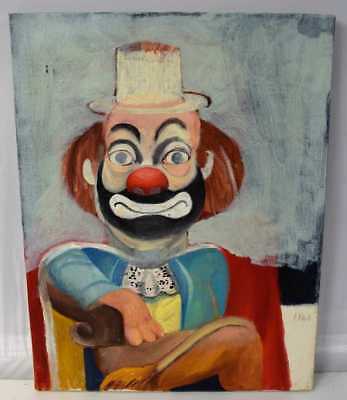 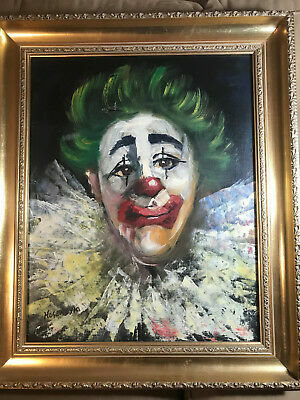 Vintage William Moninet Signed Oil on Canvas Clown Painting 2 Clowns 16" x 12"
Signed TG Vintage Oil Painting on Stretched Canvas " Clown" 8"x 16"
Louis Spiegel Framed Oil on Canvas Clown Painting. 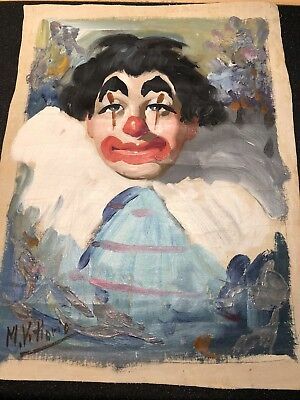 Pencil signed back. 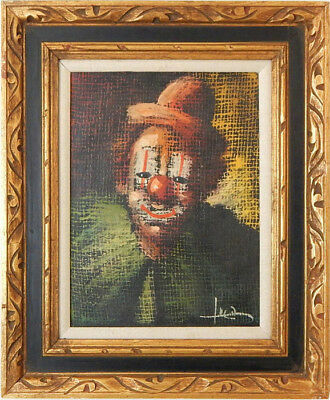 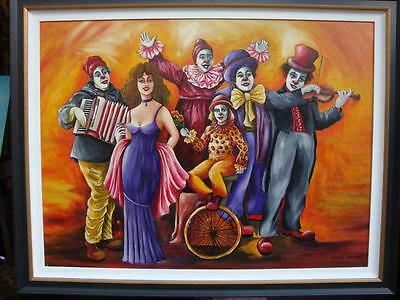 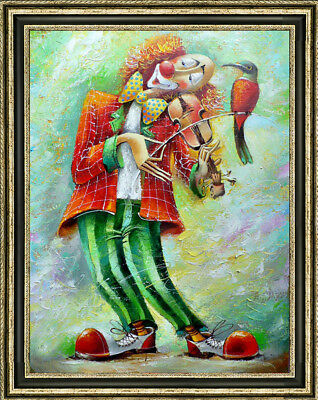 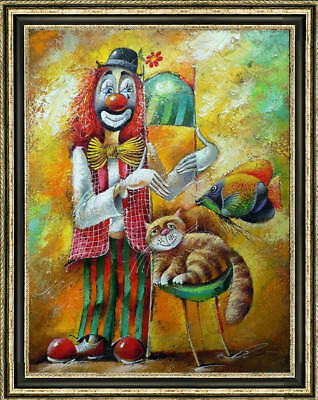 Allan Husberg Oil On Canvas Clown Painting Original, Signed By Artist 23” by 27"
Hand-painted Original Oil painting art abstract clown Play On Canvas 24X36"
Hand-painted Original Oil painting art abstract clown On Canvas 24X36"
$6900 Magnificent Original Oil Lady W/ Clowns Painting Signed By Shoshi Chayat! 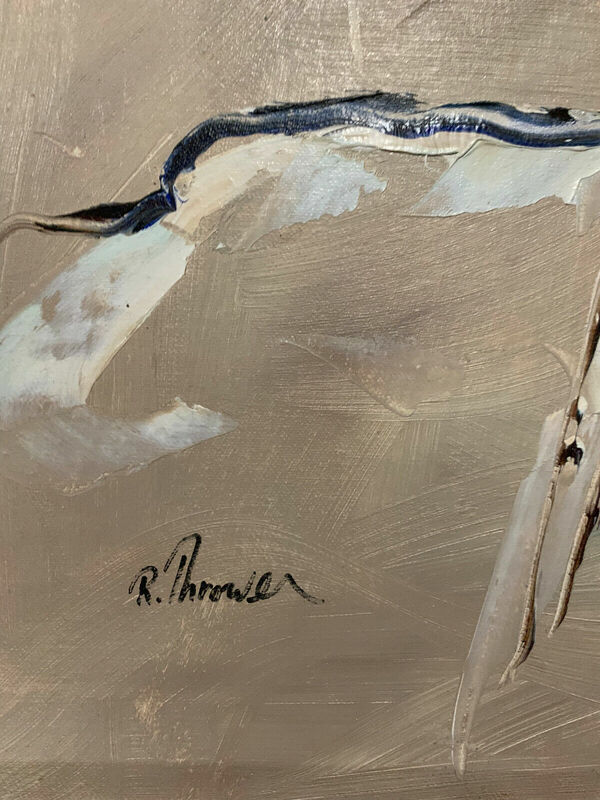 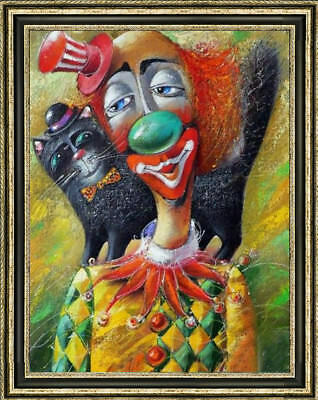 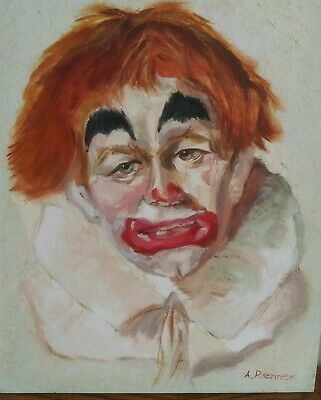 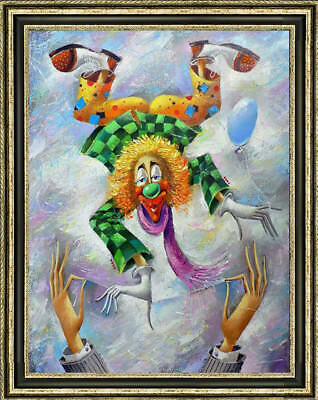 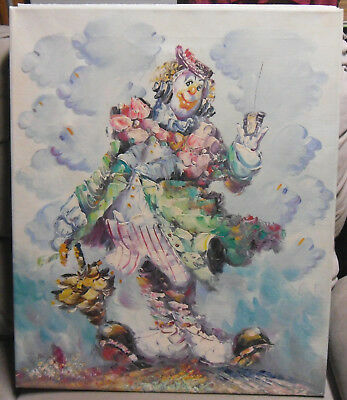 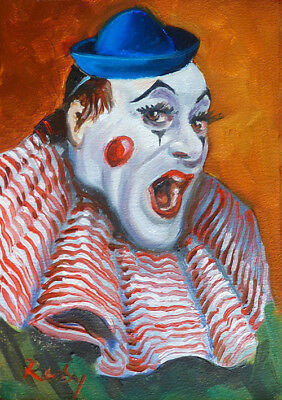 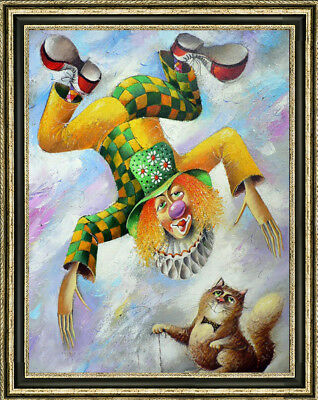 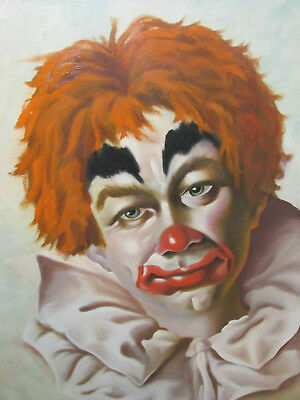 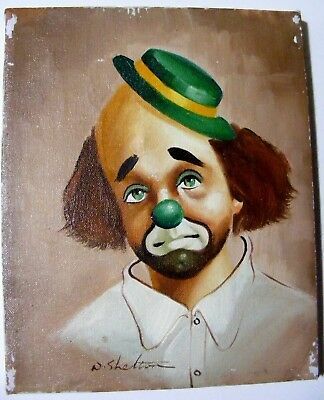 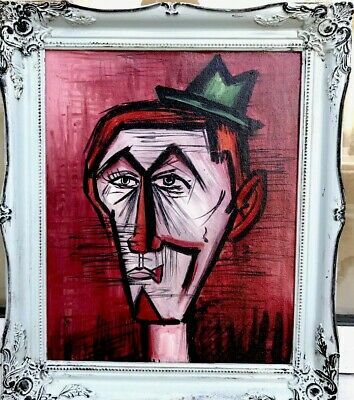 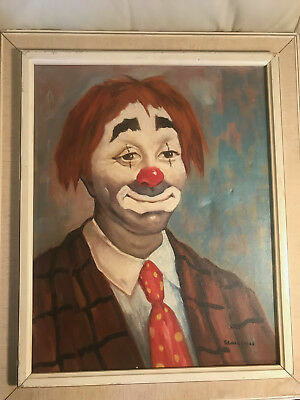 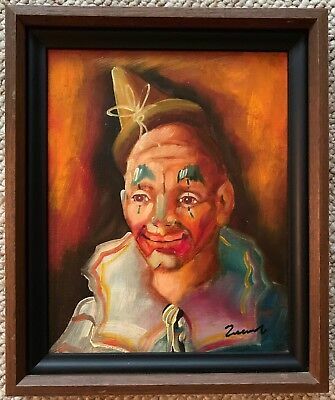 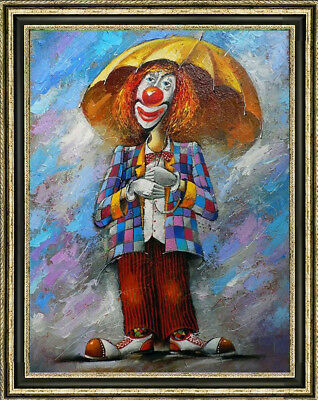 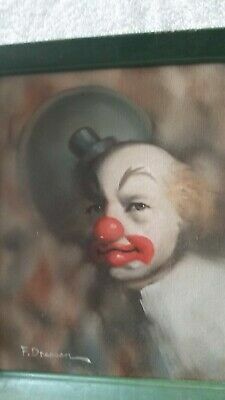 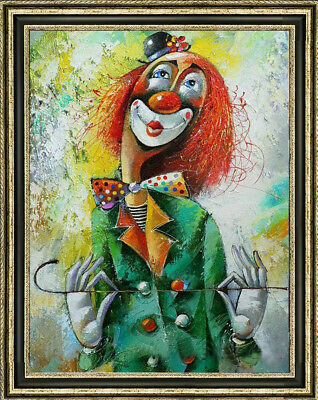 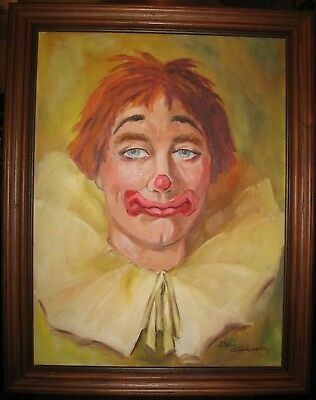 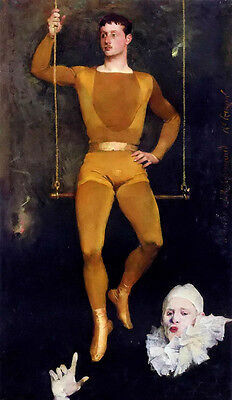 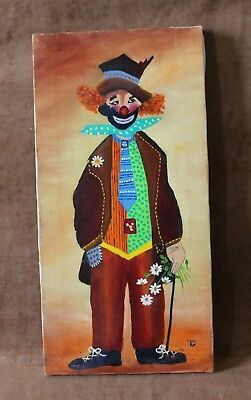 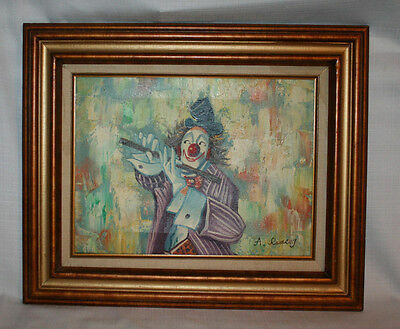 Bozo the clown Oil Painting on Canvas 20h"x24w"
Robert Owen Original Clown Oil Painting Signed On Canvas Art. 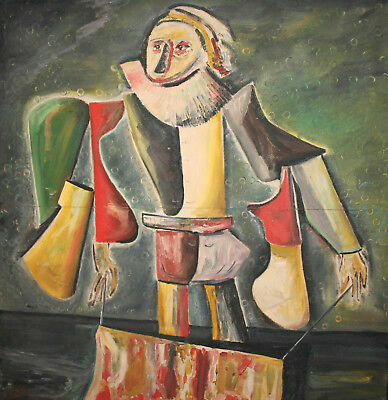 30" X 42"